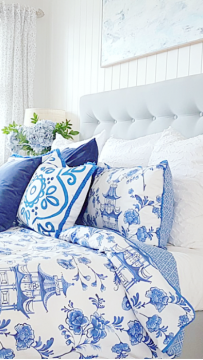 You are here:Home / Posts tagged "Bed Linen"
Just casually popping in to share a few little changes around here. I have to celebrate the little changes as I’m currently living in a reno zone and it’s not pretty. We’re renovating our bathroom. It’s a big job. I’m most definitely over it. But it will be worth it in the end! So I keep telling myself. 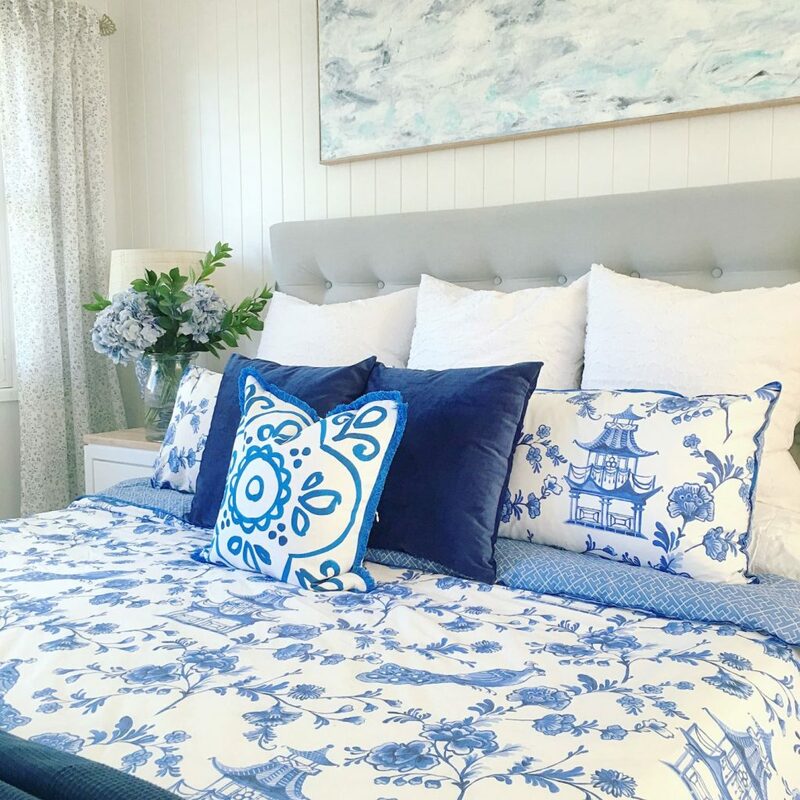 In the meantime, my bedroom is looking pretty with a few new pieces from Lorraine Lea. I’ve worked with Lorraine Lea before and was thrilled to team up again for their Spring / Summer campaign. Which by the way has some amazing pieces! 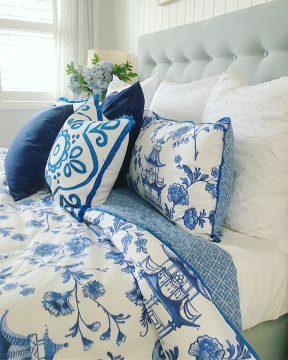 So you know I love blue and white and when I saw the Temple Quilt I might have gasped just a little, it’s that beautiful. 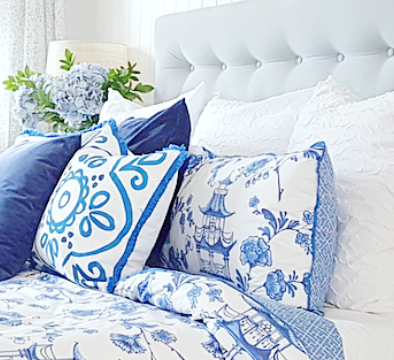 The chinoiserie print is whimsical, gorgeously crisp … it speaks to my love of ginger jars and of course blue and white. 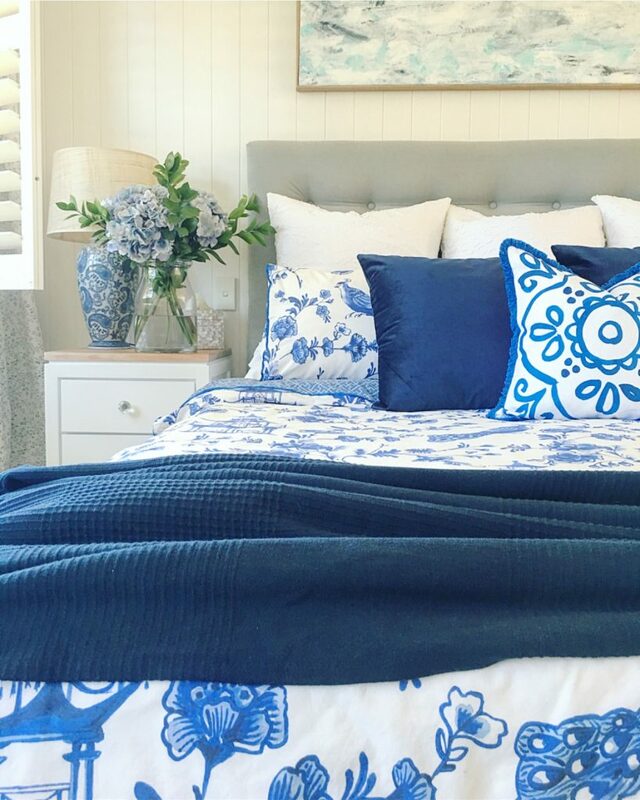 I’ve paired it here with a pair of navy velvet cushions, because velvet, it’s so lux and adds a lovely contrast. Also in the mix is the Miami cushion. 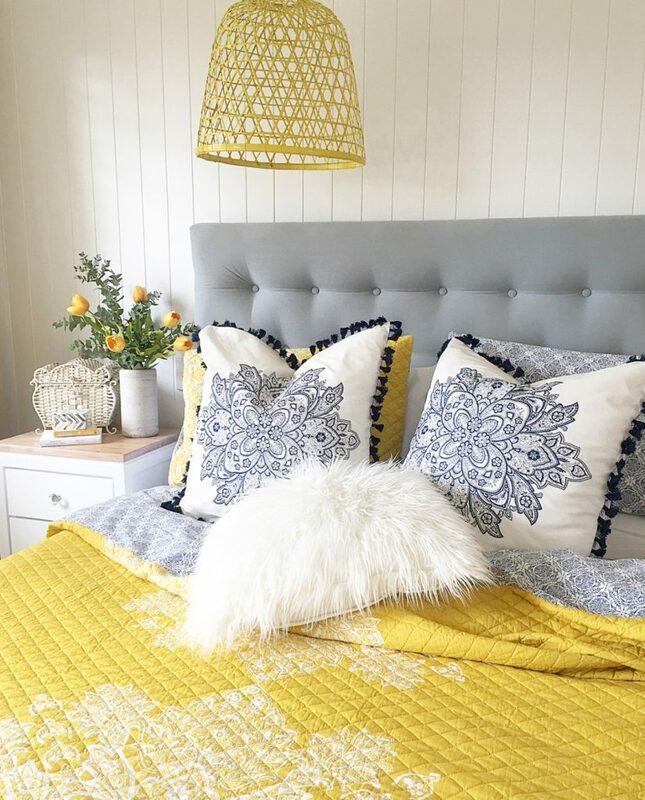 I’m all for mixing and matching and I adore the fringing and watercolour like print of this cushion. Then to add extra layers and depth I’ve added a trio of the Isla Euro pillowcases in white. 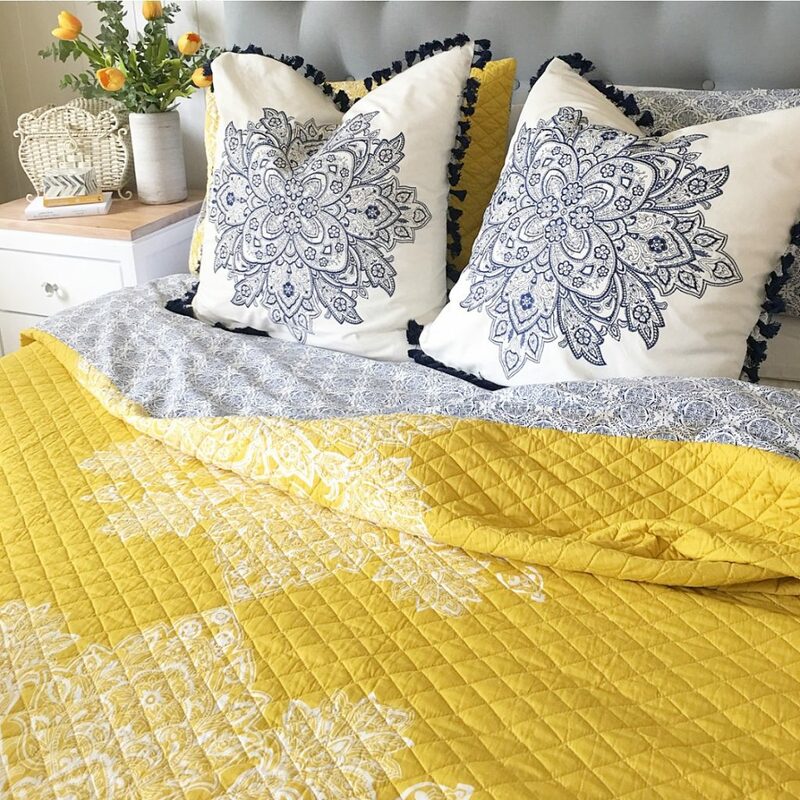 These have a beautiful textured pattern on them and will go with everything! Definitely good bang for the buck. 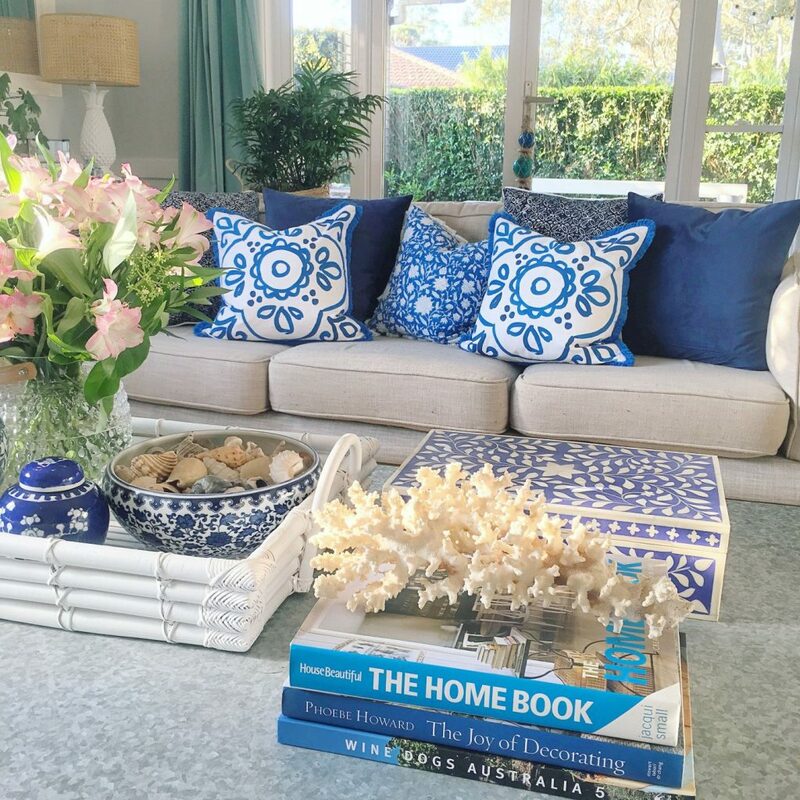 Of course, my cushions love travelling around the house, I like to change it up by using them in the lounge and family room. 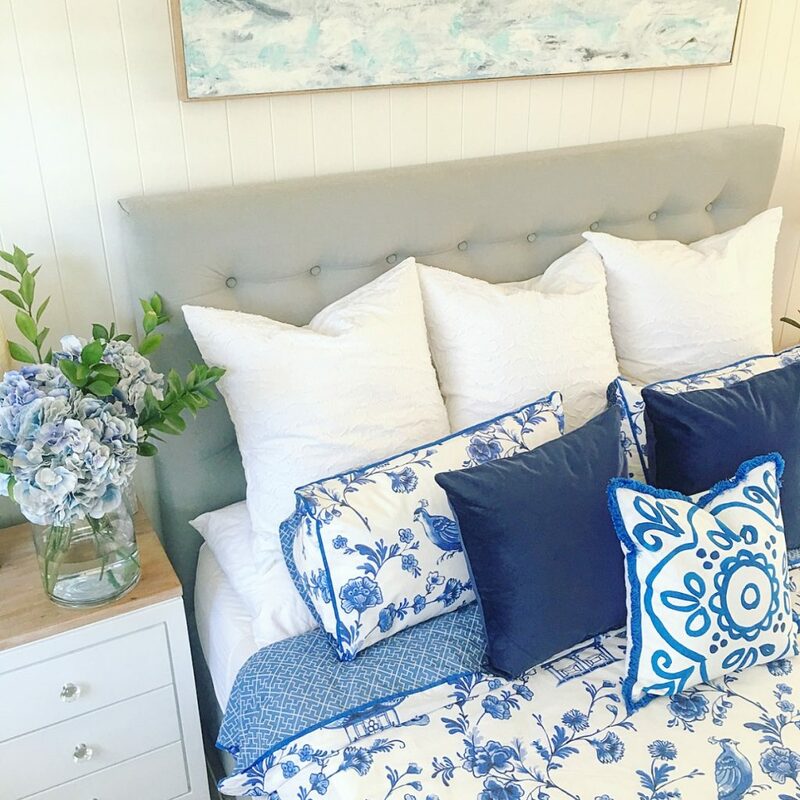 I love that about cushions, such an easy and affordable way to change the look and feel of a space! Here they are posing in our family room…. NB: This post is not sponsored however, some items were gifted to me for my review. As always I only recommend items I truly love and am happy to have in my own home. 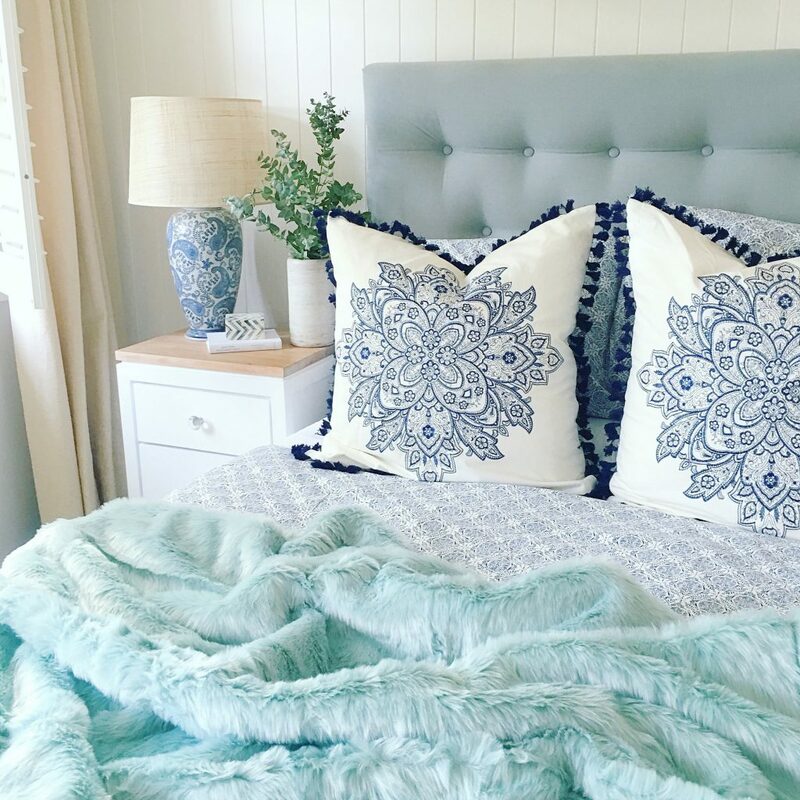 I love love these Euro Pillowcases… give me tassels and an embroided pattern and I’m a happy girl! 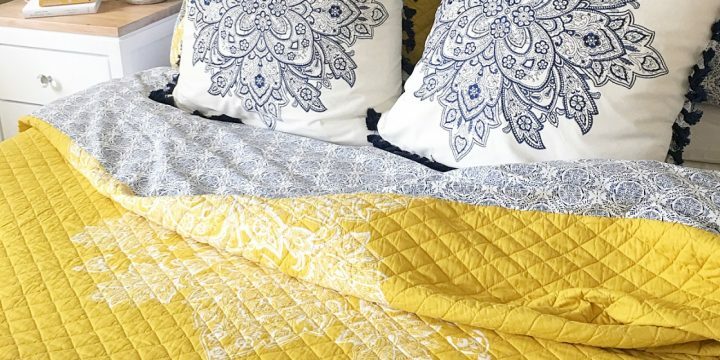 The quilted pattern is gorgeous and I do love a quilt that is reversible, it basically gives you two looks for the price of one, gotta love that! …below is the reverse side and for a different look I’ve teamed it with the Harper Throw in Mint which is so thick, soft and cuddly! 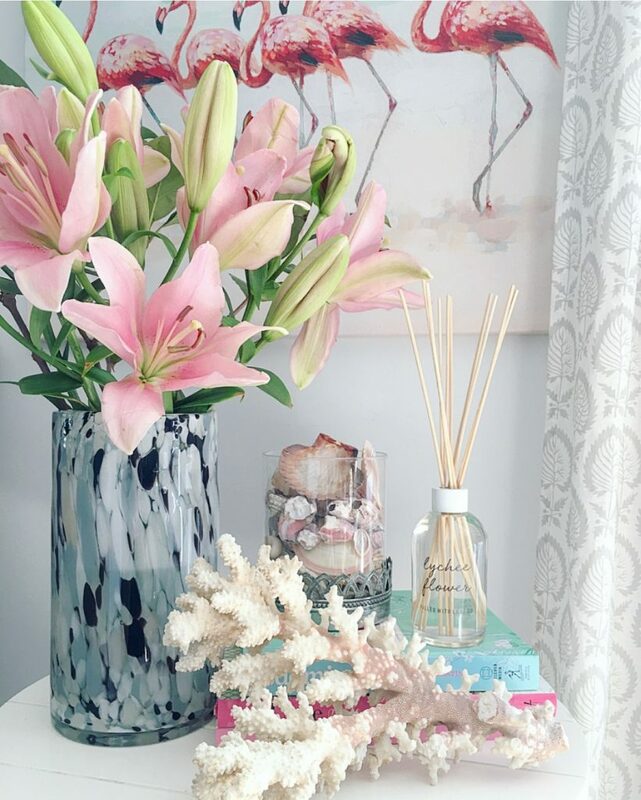 I couldn’t resist adding this gorgeous vase to my collection! 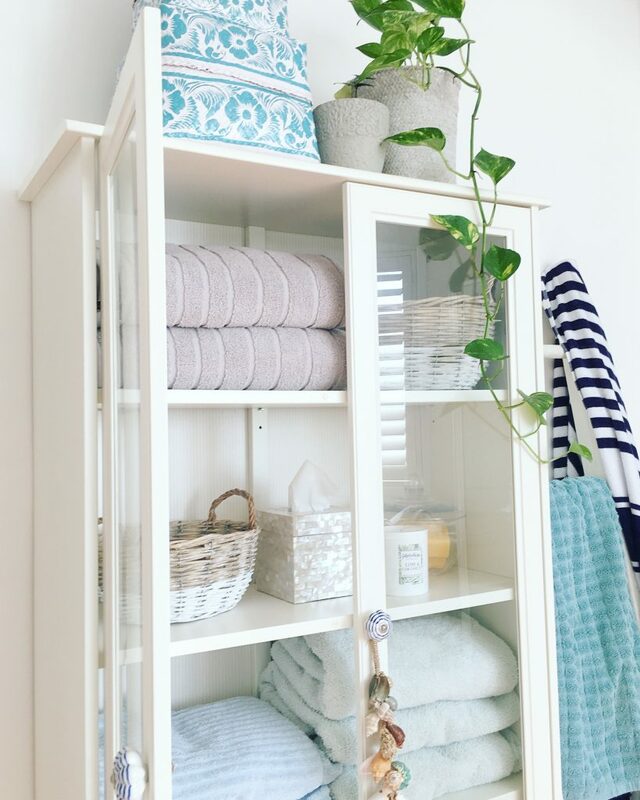 I love a good bath towel and my favourite are textured or ribbed ones, they just feel so much more luxurious and absorbent. The Cooper Towel is perfect, I chose this lovely silver grey colour. 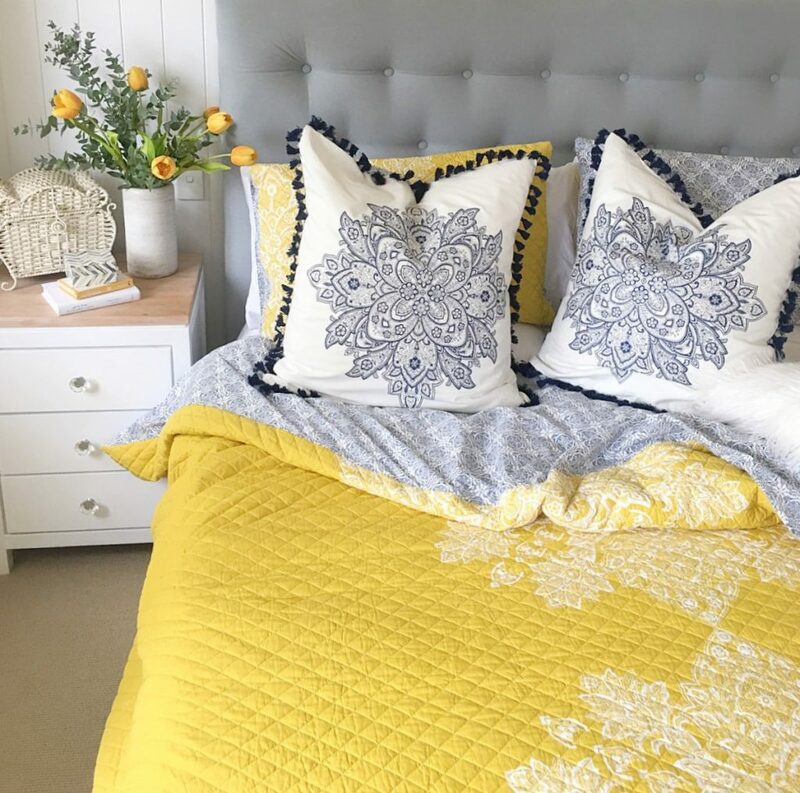 Lorraine Lea have some beautiful, easy to style on trend pieces, perfect to give your home a little update! 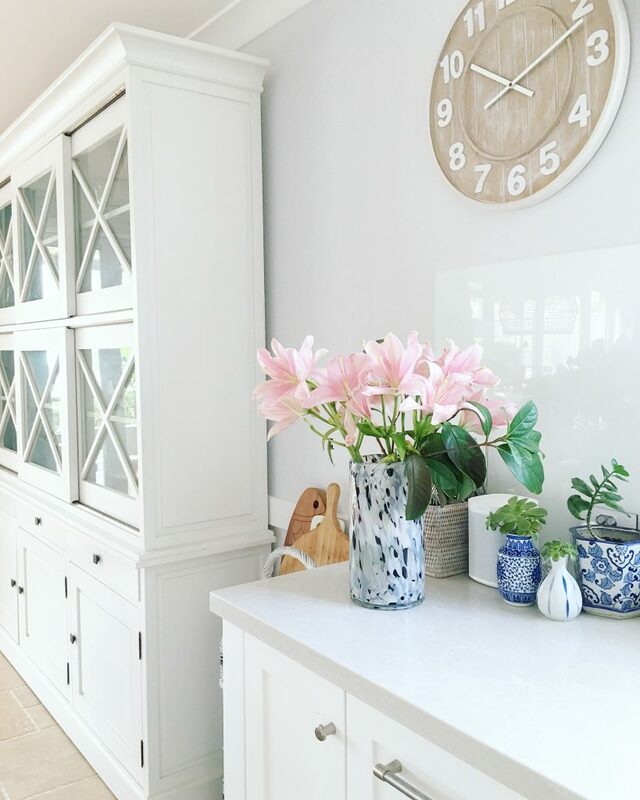 Do you love changing your decor in line with the seasons? I’d love to hear about your seasonal updates! NB: This post is not sponsored, however, products were supplied for my review. 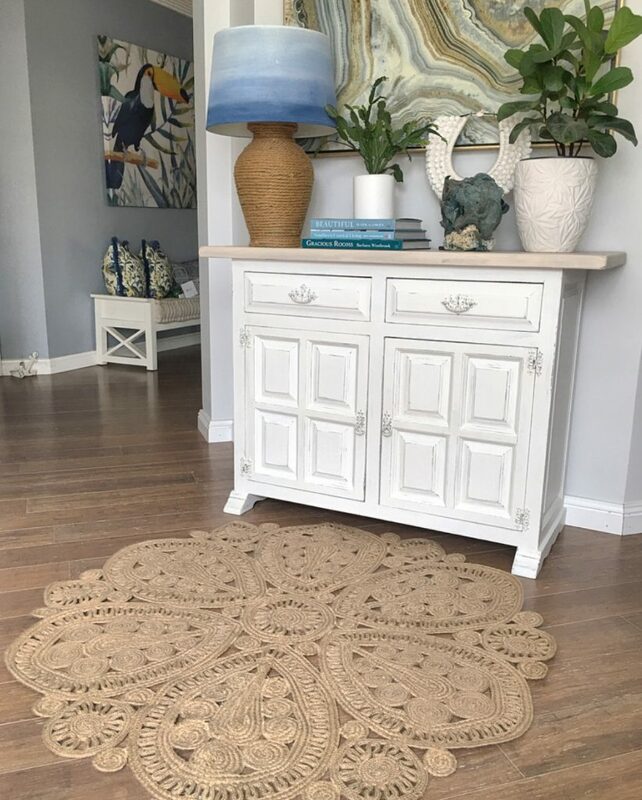 Please know I only recommend items I love and would be happy to have in my own home.